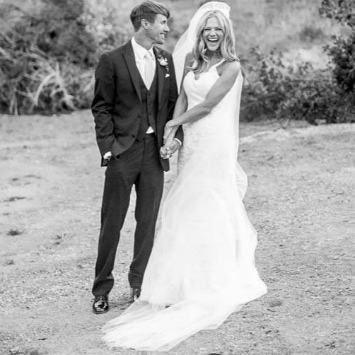 Erin Morris: i fell in love with the man who died for me. 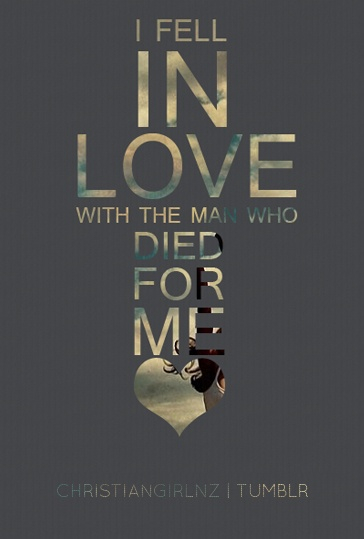 i fell in love with the man who died for me. Today is Good Friday. The day Christians commemorate Jesus' death on the Cross for our sins, graciously opening the door for us to receive salvation, have our sins washed clean, and have an eternity sealed in paradise forever. Needless to say, today is special to me. It's a day when I try to take a step back, quiet my heart, and really truly think about His death and what it means to me. Honestly, it means alot. A whole lot. Good Friday and Easter Sunday are not some random dates on the calendar to me, they mean the difference between life and death. We here in the blog world talk alot about hope, dreams, plans, passions. We talk about happiness, looking for the good, finding the good in others. We talk about the little joys in life, and the happiness we find... in everything from DIY projects to recipes to fashionable outfits. I often talk about my passion to inspire and encourage people, to share my passion for sexual purity and waiting for God's best plan, and knowing we as women are worth way more than what our media and culture says. But friend, none of this would matter or even exist at all if Easter hadn't happened. And for me, He is the reason I even write a blog. Why I have the strength and courage to try to inspire and share hope with y'all. And why I can face each new day. To me, this day is oh so personal. It's very close to my heart, because He is. He is the absolute love of my life. He means more to me than any thing or person, dream or wish. He is my everything. And I owe Him everything. To me, He's not some far-off figure from history or some character we read about in vague stories in the Bible. He is so real and so close. He is my Prince, my knight in shining armor. Girls, imagine an amazing, beautiful, brave, passionate, sweet, strong, precious man. He rides up on his white horse, rescues you from perilous danger and frightening death, and then gives his life for yours, dies for you - as He whispers, "My darling, I love you." Would you not be oh so in love? Would you not swoon and be head over heels in awe of this exceptional man? Well I have news for ya ... Jesus is that man. To me His love is intimate, close and just as real as any human relationship I have and even more special and exciting than any romantic relationship I will have with a husband someday. Today, I am overwhelmed afresh by His phenomenal, infinite, beautiful love for me. And you. Oh do you know Him? Do you know His love? Do you know this man who died for you? Because believe me, if you don't, you should....and you can. He is just a whisper away. And remember, His whispers are sweetness itself, wholly desirable. And He loves you....He loves you more than you could ever comprehend. I just feel so compelled to share a video with you. It is a poignant, beautiful portrayal of what happened so many years ago today on Good Friday. The day Jesus died. It is literally the Bible portrayed and acted out in movie format - word for word from the book of Matthew. One of my families dearest friends, Bruce Marchiano, plays the role of Jesus and I've really never seen a more moving version of Jesus' crucifixion. If you need to focus your mind of what today means, what Easter means - then I encourage you to watch it. Be warned, though - it's pretty graphic/violent so if there are kiddos around, you may want to watch it later. It is real and honest. Reminds me of how much He suffered for me, because He loves me - and how I don't deserve Him at all. And that is why I live my life for Him. Be blessed my precious friends. You are very loved! And no matter what you are going through - He understands. He has suffered, too. He suffered so that you might have life, healing, hope and joy - forever and ever into eternity. 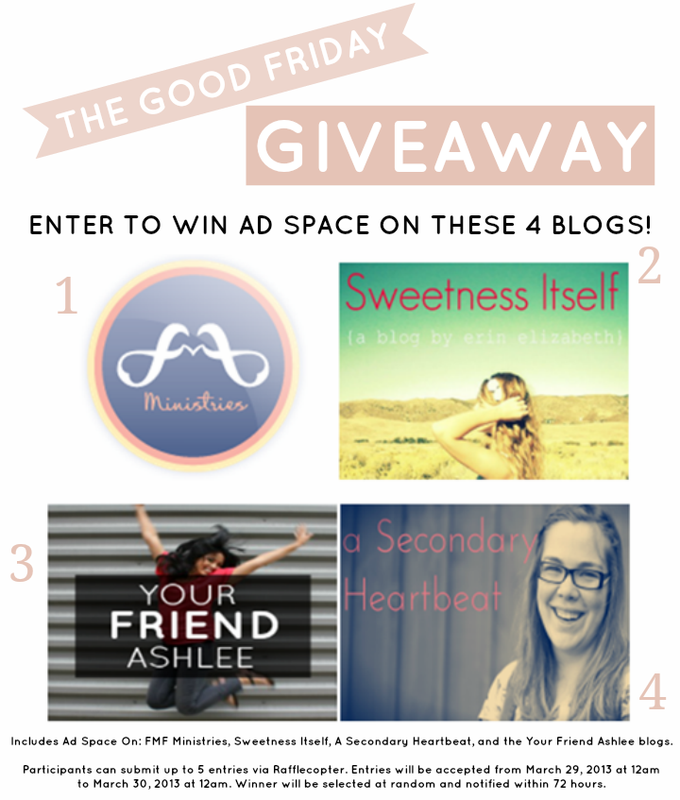 Also - I'm part of a Good Friday ad space giveaway over at my friend Ashlee's blog! I love this post, love this time of year, and can't wait for Easter Sunday! Are you guys coming to the Bowl??? I love seeing how fiercely you are pursing Him...personally. Thank you for writing this today! thanks for sharing this post :) what a wonderful and true message. we have so much to be thankful for, and i feel so humbled by God's grace and goodness to us. He is so incredible, selfless. Lovely blog, dear! i got a letter the other day.. from me. faith, love & natural hair.